Supreme Court today issued notice to theatre owners Ansal brothers -Gopal and Sushil- on a review plea filed by the Association of victims of 1997 Uphaar cinema fire tragedy seeking enhancement of their punishment. The Ansals have also been asked by a bench of justices Ranjan Gogoi, Kurian Joseph and Adarsh Kumar Goel not to leave the country till the disposal of the review petition. On the bench’s request they have given an undertaking in this regard. Kindling hopes in the minds of the kin of 59 persons who perished in the tragedy, SC had on January 8 admitted the petitions filed by victims association and CBI seeking a review of the decision to let off theatre owners Gopal and Sushil Ansal, after considering the period they had already undergone in the prison as their sentence and imposing a fine of Rs 30 crore each. The plea had been hanging fire since then. WHY THE TRAVEL RESTRAIN ORDER ? Yesterday the President of Association of Victims of Uphaar Tragedy Neelam Krishnamoorthy through K T S Tulsi, the senior lawyer representing the AVUT mentioned before a bench headed by Justice J S Khehar that there were media reports that the Ansal brothers were planning “to flee the country” and they had to be restrained from doing so. AVUT then wanted that Ansals be asked to give an undertaking that they will not travel abroad till the review petition is heard. It is to be noted that on January 8 this year, a three-judge bench headed by justice A R Dave (now retired) briefly discussed the issue in chamber in the presence of the lawyers of both the parties and decided that it should be heard in an open court. Since then the review petition has been hanging fire. In the review petition filed on November 6, last year, the CBI and the Association of Victims of Uphaar Tragedy (AVUT) have said that the sentence awarded to them was inadequate and against the principles of natural justice. AVUT has also urged for an open court hearing. “The impugned judgments are in gross violation of natural justice and have been passed without affording the victims any effective and meaningful hearing, the impugned judgments bestow an unwarranted leniency on the convicts whose conviction in the most heinous of offences has been upheld by all courts including this Hon’ble Court” . “The orders under review amount to grave miscarriage of justice to the victims who have suffered loss of lives of their near and dear ones because of the gross violations of safety rules by the convicted Ansalbrothers. 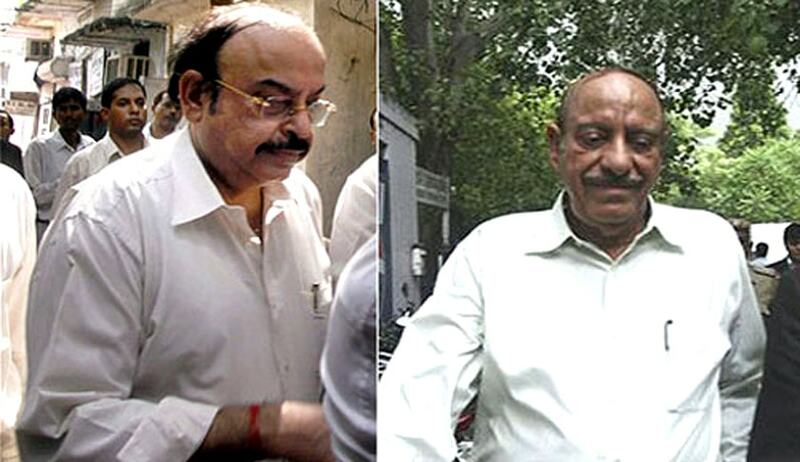 The Ansal brothers were responsible for the functioning of the Uphaar Cinema where the tragedy occurred. “With respect, this results in a dangerous judicial precedent where rich and influential members of the society can afford to be casual in their business decisions to maximize profits at the cost of innocent lives in future. There are manifest errors apparent on record in the impugned judgments which deserves being reviewed", said AVUT .